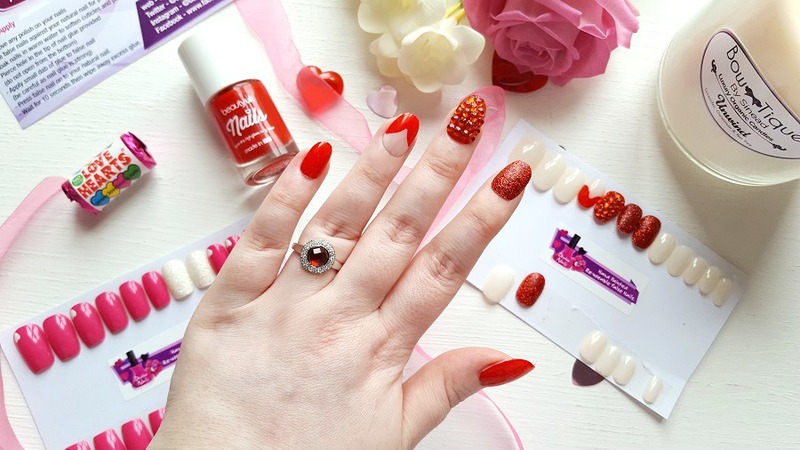 When I first posted about Devine Nails and the brilliant re-usable false nails they offer, I was already impressed by the quality of the products and the service itself. Then something wonderful happened! Devine Nails launched a nail subscription box! I was so excited to hear this and when I was asked if I'd like to trial one, I couldn't refuse, especially knowing the sheer gorgeousness of some of the false nails on offer on the site. The premise is as simple as any other subscription box. 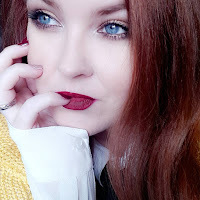 Devine Nails have called their sub box the Monthly Delights Box and that it is! The theme each month is slightly different and is announced during the first week of the new month. 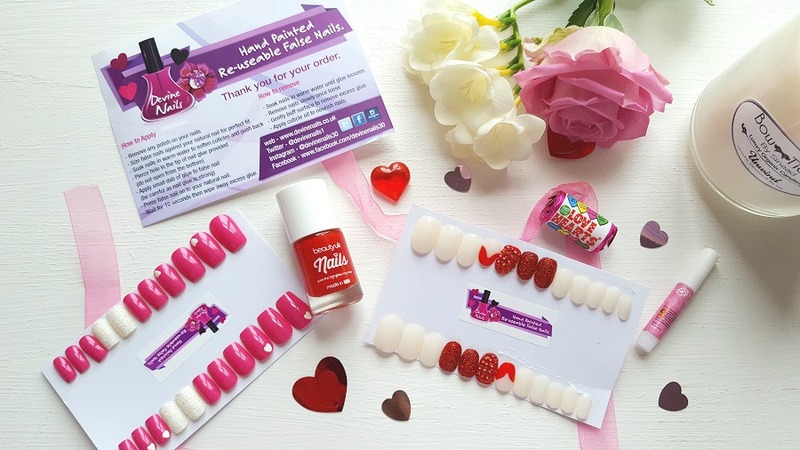 Included in the box are 2 wonderful sets of reusable false nails, nail glue and a surprise gift. 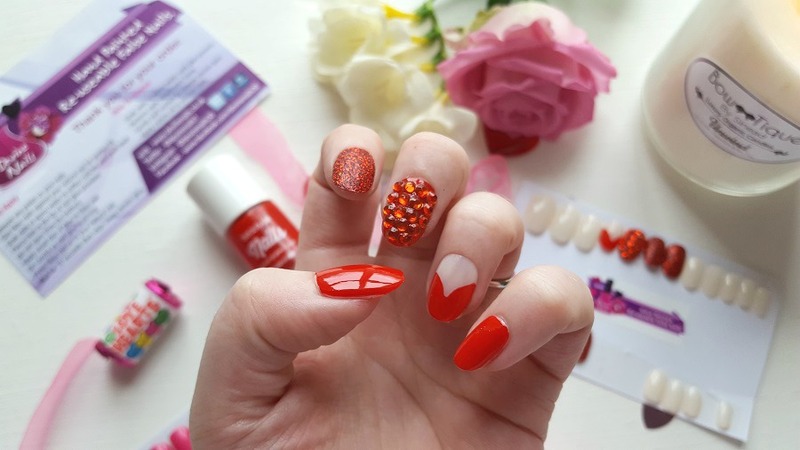 My subscription box* included a beautiful set of pink nails with white heart accents and icy glitter statement nails and a love-themed set of red nails which included glitter statement nails and some lovely hearts. Also included was the best bright red nail polish I think I've ever tried (and I've tried a LOT of red nail polish!) by Beauty UK, a brand I'll definitely be looking more into! 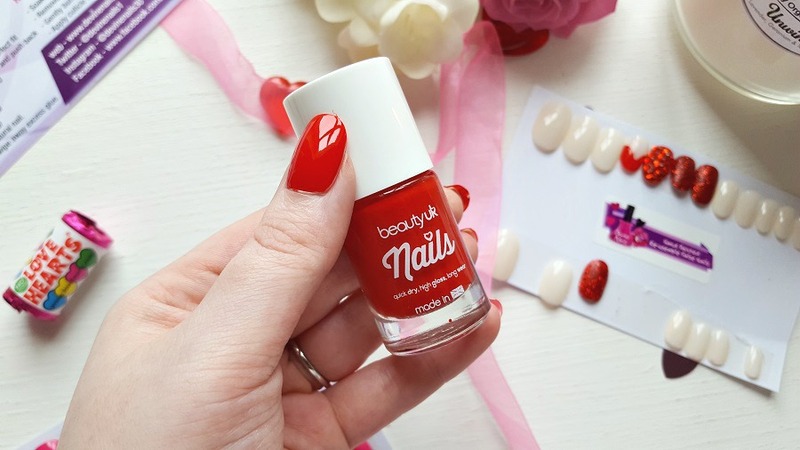 I used the Beauty UK red nail polish to varnish the rest of the nails in the red heart set that was sent out and they were so gloriously love-themed I couldn't help but adore them! Down to the nitty gritty. These nails are durable. They last on the nails. They also soak off easily which I wasn't expecting. There was no damage done to my own nails at all during and after wear. The nails themselves weren't at all damaged during removal which meant I could absolutely wear them again. In my opinion I believe you'd get at least 2 - 3 wears out of each set so considering you get two sets of nails in your Monthly Delights Box, alongside your glue and the surprise gift, the price seems very fair at just £10. You're guaranteed the personal touch with each box also and I think that's incredibly important. 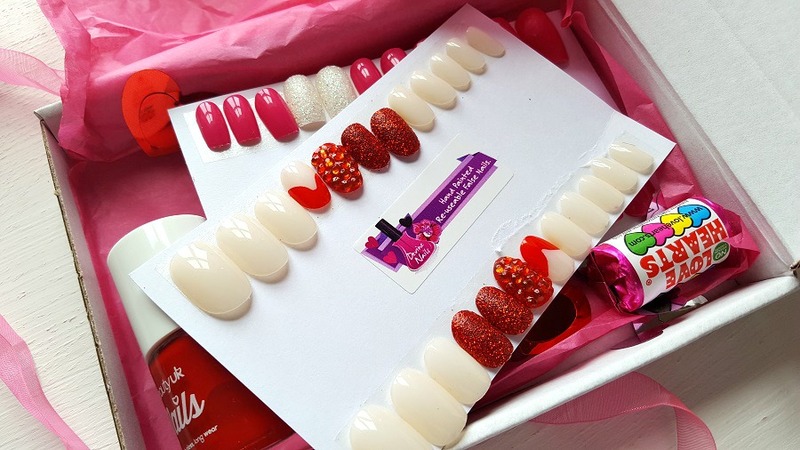 Devine Nails is a small but growing business and each monthly box sells very well. This month's is Easter themed I believe and sure to be a sell out! If you're on snapchat, it's very much worth keeping an eye on theirs as they post updates on what new nails are available and discount codes which are valid on all products listed on their site. I'm delighted to see a nail subscription box and even more excited to have discovered a new brand of nail polish as well. I think Devine Nails are on to a winner here!